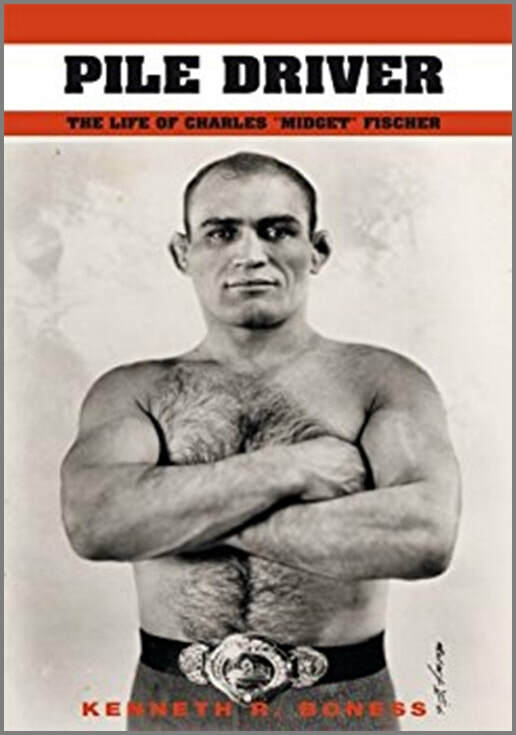 Pile Driver is a highly detailed account of the life and wrestling career of Charles Fischer, a longtime middleweight and light heavyweight wrestling champion during the 1920s-1930s, who has largely been forgotten due to his not wanting to play by the rules of various wrestling trusts or sanctioning bodies. Old school wrestling fans may remember the likes of Gus Kallio, Hugh Nichols and LeRoy McGuirk as the middleweight and light heavyweight champions of the same time period. They were all backed by the National Wrestling Association, and were carefully protected by facing a steady diet of fellow stable mates, while being kept away from Fischer, while Fischer would face anyone who would meet him. Boness is careful not to make any claims as to whether any given match was a shoot (a real contest) or a work (the usual predetermined match) and leaves that up to the reader to decide. Fischer always presented himself as a legitimate wrestler, and didn't want to lay down for anyone who couldn't legitimately beat him. Boness knew Fischer and his family personally and had access, not only to an enormous amount of newspaper clippings, but to Fischer's personal scrapbooks and photographs, allowing for a thorough look at Fischer's life. The author presents almost a match-by-match accounting of "Midget's" wrestling days, presenting the relationships with managers, promoters and fellow wrestlers, along with the build-up for most of his most important matches. Fischer was a man who didn't back down from a challenge and was open to all-comers from middleweights to heavyweights. With the book broken down largely by year, the author also includes a plethora of news and trivia about what else was going on in the world at the time of Fischer's career, helping to give it context beyond just the wrestling. rarely has a single wrestler's life been presented in such detail. And while it may seem pricey, consider this book is over 700 pages, more than double most wrestling biographies. Highly recommended. Review of Pile Driver: The Life of Charles "Midget" Fischer..
Pile Driver: The Life of Charles "Midget" Fischer. Published as Paperback: August 2003.